Jennifer Worth's bestselling memoirs of her time as a midwife have inspired and moved readers of all ages. Now, in In the Midst of Life she documents her experiences as a nurse and ward sister, treating patients who were nearing the end of their lives. Interspersed with these stories from Jennifer's post-midwife career are the histories of her patients, from the family divided by a decision nobody could bear to make, to the mother who comes to her son's adopted country and joins his family without being able to speak a word of English. 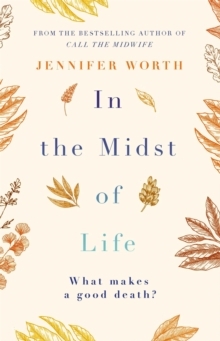 In the Midst of Life also gives moving insights not just into Jennifer's life and career, but also of a period of time which seems very different to today's, fast-paced world.